Finding a cruelty free lip balm in the winters is a task for me. 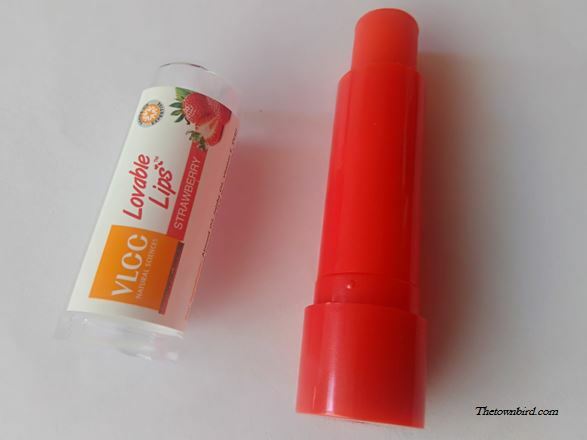 Recently I was looking for a new lip balm after running out of my old favorite, Nivea Lip Balm then one day our team received few lip balms from one of a leading personal care brand VLCC who produce all natural lip balms in a variety of fun flavors. I make every effort to make sure all my cosmetics are totally free of animal cruelty. 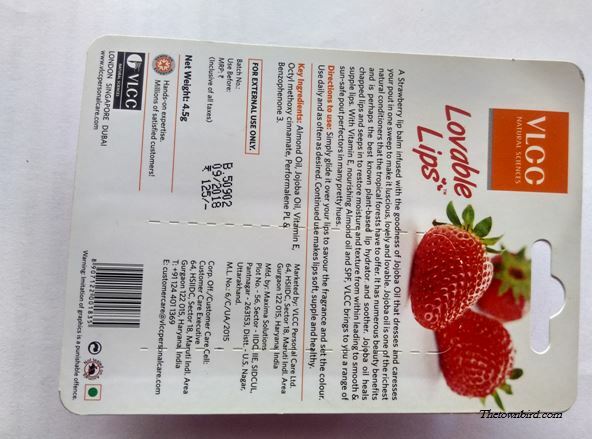 This is often rare to find, so VLCC Lovable Lips Strawberry Lip Balm gets another tick alongside their name! Their lip balm range is really awesome and with the breakthrough of the winters I do not wish for more. While I was playing “Inki Minki Ponki” to choose which balm to review I decided to stick to my all weather favorite flavor – Strawberry. So, right away I was excited. Packaging: The balm is a twist up design with a flat slanted head for application. It glides like butter on my lip…! The lip balm has it name imprinted on them and have distinct colored caps to distinguish them. Application: In terms of application, I’ve trialed the flavor several time a day for over a month and I have to say I am impressed. The VLCC Lovable Lips Strawberry Lip Balm not only provides moisturisation to your Lips but also protect from harmful UVA rays. Fully tested, it provides SPF 15 making it an essential accessory for your lips – I love this idea! The amazing smell and flavour of strawberry is cherry on the top! Their special blend of Shea Butter leave your lips moisturized, soft and super smooth. It is a perfect solution for dry chapped lips. Colour: The colour is in fact is the most surprising element as it is terribly sheer and you can see the nice tint with an excellent pigmentation they leave behind……I wouldn’t call it medium or full coverage but it is noticeable color on lips. Nice though! 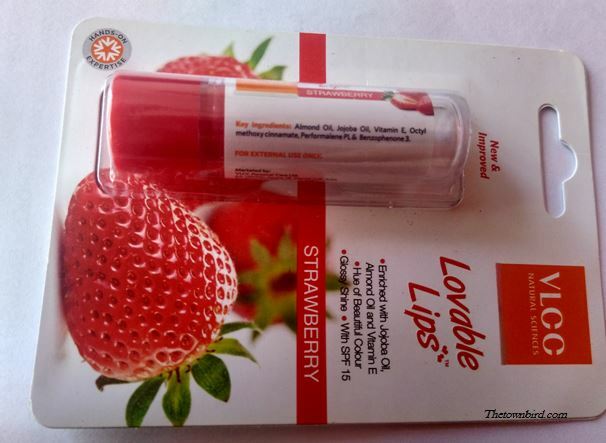 Convenience: My friends call me a clean freak, so the hygienic element to strawberry lip balm is a fab feature especially at the peak of winters when you really need a lip balm desperately and also carry lot of germs on your hands. 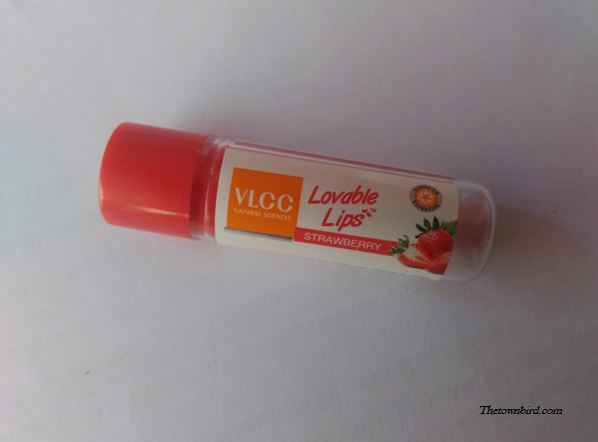 Over all I have a lovely experience with VLCC Strawberry lip balm and would love to try their more flavours. Oh! Not to forget it’s amazing smell… Make that 4 stars! What a nicely written review.